Recent advances in science have revolutionised the care of patients with medical retinal disease, who would once have been destined for severe vision loss. An increasing array of incredible sight-saving modern treatments are now available. Although many Ophthalmologists may be competent in managing retinal disease, the pace of new developments means that those with the highest level of specialisation and research interest deliver the highest quality of care. 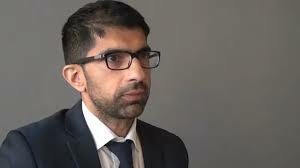 Professor Aslam began his training at Oxford University. He completed his higher specialist training in Ediburgh with advanced subspecialty experience in medical retinal disease. Having gained this he furthered his expertise by working in medical retina at a fellowship at the world famous Moorfields eye hospital in London. 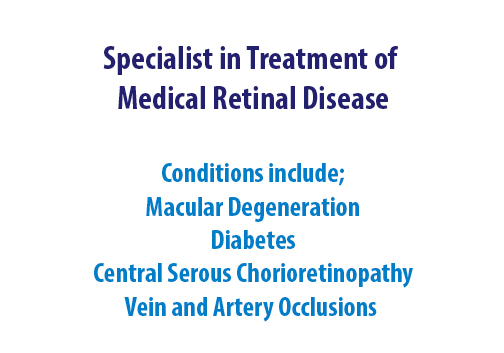 His clinical responsibilities are based around diseases of the retina and patients with these conditions make up over 90% of his clinical practice. His clinical experience and research mean he is often invited to speak nationally and internationally at ophthalmology conferences. Professor Aslam is a Senior Clinical Lecturer at Manchester University and Honorary Professor at Heriot Watt University, a position gained subsequent to research into modern technologies in ophthalmology which was awarded the University's prestigious MacFarlane Prize in 2013. He has published over 60 peer reviewed papers in ophthalmology and is the current National Institute for Health research lead for Greater Manchester. His current research interests are very much around directly improving patient care including imaging, early detection and prevention of retinal disease. Professor Aslam is highly involved in teaching and lecturing and good communication skills are integral to his consultations. As well as conducting his own research , his teaching role and leadership role in the clinical trials unit at Manchester Royal Eye hospital ensure he is at the cutting edge of modern research findings which have revolutionised ophthalmology in just a few years and which continue to make huge progress and impact. He is able to combine intricate knowledge of these latest research findings with the highest level of specialised training to ensure patients receive the best possible modern care, tailored to their individual needs and communicated with care and understanding. He currently sees private patients at Optegra Eye Hospital in Didsbury, Manchester.